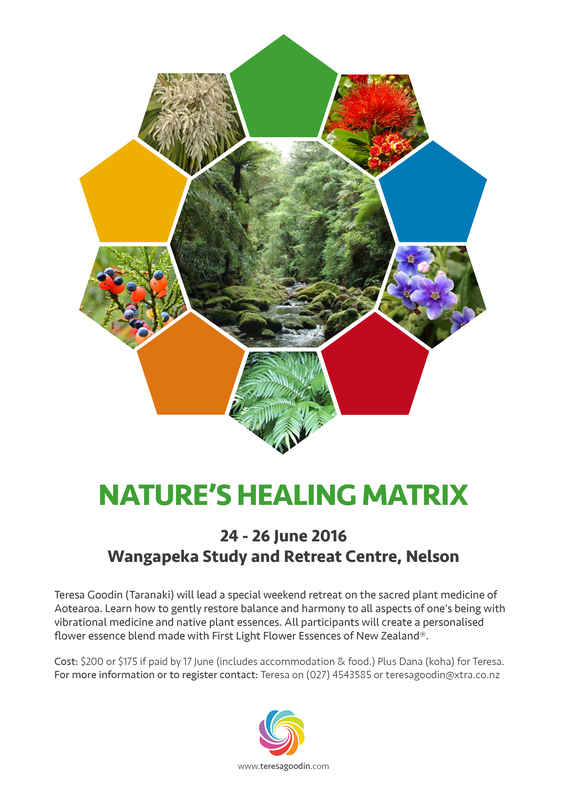 Teresa Goodin (Taranaki) will lead a special weekend retreat on the sacred plant medicine of Aotearoa. Learn how to gently restore balance and harmony to all aspects of one’s being with vibrational medicine and native plant essences. All participants will create a personalised flower essence blend made with First Light Flower Essences of New Zealand®. $200 or $175 if paid by 17 June (includes accommodation & food.) Plus Dana (koha) for Teresa.